9am: Office of Readings and Morning Prayer (Matins & Lauds) Friary Oratory. 3pm: Solemn Celebration of the Lord’s Passion including Veneration of the Cross and Holy Communion. 9pm: Easter Vigil of the Resurrection of the Lord. 9am: Mass of Easter Morning. Mon – Weds: Normal Times. Holy Thursday & Good Friday: Normal times except during the Ceremonies. The Coffee Dock will be open over the Easter Holiday except for Good Friday. Good Friday : Stations of the Cross, Veneration of the Cross, Holy Communion – 3pm. Good Friday : Stations of the Cross – 12 Noon. Celebration of the Lord’s Passion – 3pm. 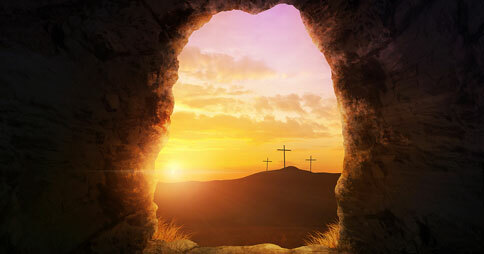 Holy Saturday : Easter Vigil Mass – 8pm. Easter Sunday : Mass 10 am & 12 noon. 11.00 — 12.00 a.m. 4.00 – 5.00 p.m.
11.00 a.m. — 12.00 a.m. 4.00 p.m. – 5.00 p.m.
Sacrament of Reconciliation 11.00 a.m. – 1.00 p.m.
3.00 p.m. – 6.00 p.m.
Capuchin Friary, Church Street, Dublin 7. Holy Thursday: Evening Mass of the Lord’s Supper at 7.30. No morning Mass. HOLY WEEK IN HOLY TRINITY CHURCH. 12Noon – Stations of the Cross. 3PM. – Celebration of the Lord’s Passion. Easter Sunday Masses – 8am; 10am; 11am; 12.30pm. Holy hour – 7 to 8pm. HOLY THURSDAY, GOOD FRIDAY AND HOLY SATURDAY. The Oratory, Yellow Entrance, Blanchardstown Shopping Centre, Dublin 15.